“We knew, broadly, what had happened in the preceding three years. 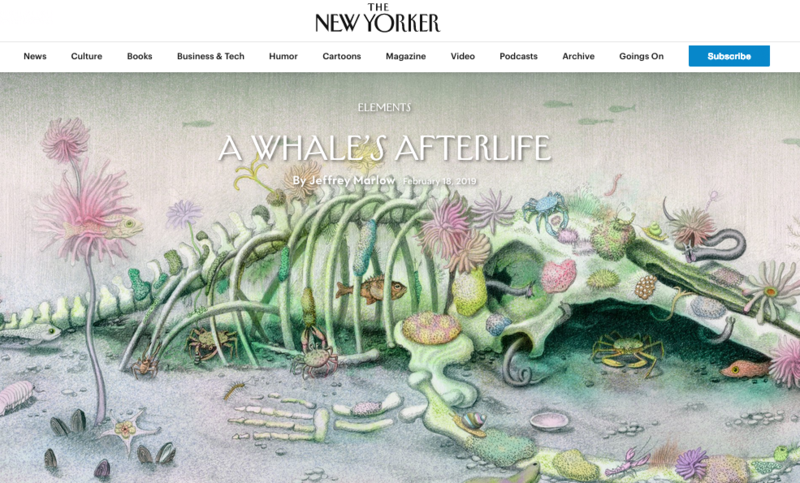 For denizens of the seafloor, a whale fall is like a Las Vegas buffet—an improbable bounty in the middle of the desert. Rosebud had delivered about a thousand years’ worth of food in one fell swoop. The first animals to pounce had been scavengers, such as sleeper sharks and slimy, snake-like hagfish. In the course of about six months, they had eaten most of the skin and muscle. Inevitably, the scavengers had scattered pieces of flesh around the whale carcass, and native microbes had multiplied quickly around those scraps. Their feeding frenzy, in turn, had depleted oxygen in the seafloor’s top layers, creating niches for microbes that could make methane or breathe sulfate. Undark Magazine // The High Seas Are Being Exploited. Exploration Must Keep Pace. "As we enter, complicit, into the “sixth extinction,” we are influencing biomes across the planet before we understand them, precluding the opportunity to catalog, preserve, appreciate, and utilize the full range of Earth’s biodiversity. This pattern extends to the high seas, and as the U.N. develops a new legal framework for their conservation, the marine science community has a critical role to play. We must share the scientific stories of these waters — the engines of our planet that support immense biodiversity and critical climate sustaining processes — emphasizing that protecting the high seas is a boon rather than a burden. Accelerating scientific exploration, to survey both imminently threatened ecosystems and unseen wonders, will start to fill in the blank spaces on the map. Given the accelerating pace of high seas exploitation, the opportunity cost of doing nothing — a whale nursery gone unprotected, or a powerful antibiotic gone undiscovered — would be an immense and irreversible loss. There are simply too many remarkable discoveries on the horizon, and building a strong and scientifically robust basis for conservation will empower future generations to enjoy their benefits." My [latest feature] follows an intrepid group of researchers in the Democratic Republic of the Congo as they trace the ecology of potentially dangerous viruses among different animal populations. From bat caves to bonobo sanctuaries to hospitals, the team is working to understand virus distributions and prevent spillover events that could lead to a pandemic. But in a notoriously under-resourced country like the DRC, the challenges - both scientific and logistical - often seem insurmountable. At Discover Magazine, I wrote weekly articles about the science that is pushing the boundaries of biology, from the deep sea to outer space to the brave new world of synthetic biology. From 2012 to 2015, the Extremo Files was a part of the WIRED Science Blogs network. Approximately 200 articles covered a range of subjects, focusing on microbial life, space science, science diplomacy, and exploration. Since 2013, I have served as a contributor to Falling Walls Fragments, the journalistic arm of "The International Conference on Future Breakthroughs in Science and Society." My associated work can be found [here]. The confluence of affordable sequencing, DNA synthesis, and increasingly complex synthetic biological techniques is re-shaping applied microbiology. This series checks in on several of the companies leading the charge as they build the future of industrial production and basic research. 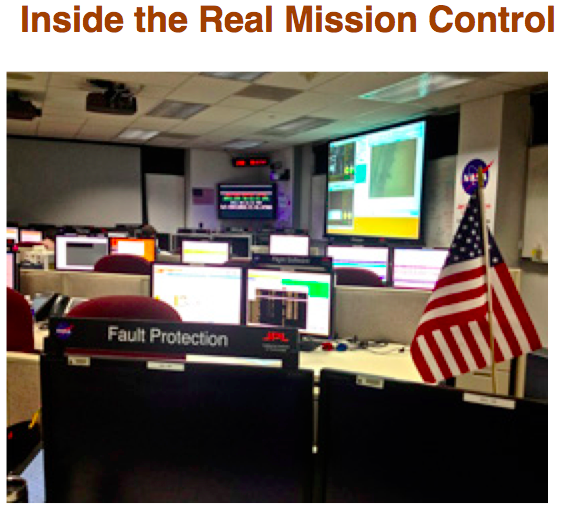 For the first few months of the Mars Science Laboratory mission's primary phase, I was granted exclusive access to mission control at the Jet Propulsion Laboratory. I worked alongside the science team to describe the mission planning process and share some initial results. A selection of the fourteen resulting articles is provided below, but all can be found [here]. 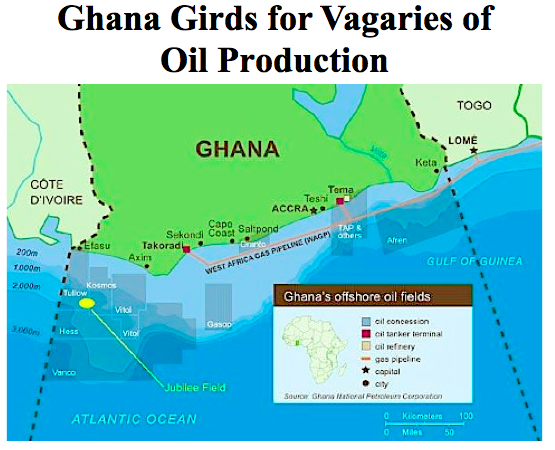 Environmental, economic, political, and social interests are converging rapidly as hydrocarbon production expands among nontraditional players and alternative energies become cost-competitive, fueled by technological ingenuity and local, off-the-grid needs. This extended series for The New York Times offers a sense of how this multi-pronged dynamic is affecting communities around the world. A selection is provided below, but all articles can be found [here]. Selections from my work have been taught in science writing courses at Michigan State University, Western Washington University, and the University of Maryland.